Using a Twelve Gauge Shotgun For Deer Hunting. 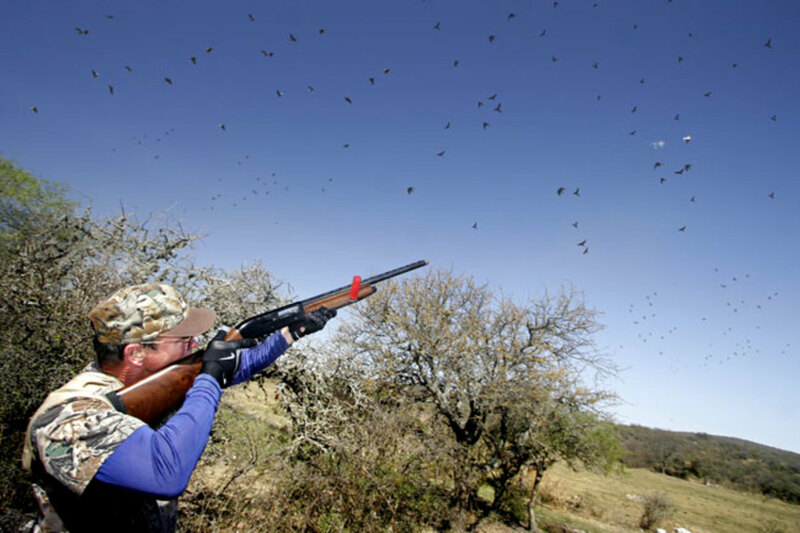 Whether new or old to the sport of deer hunting, the hunter need not believe that he should have to purchase a high powered rifle for the sport. Shotguns, in my opinion, provide far more utility in hunting or self defense, and work just fine for deer hunting too. Of course the deer is fairly large herbivore - and a very quick and alert one at that. Of course it's possible to bring down a deer with a 410, sixteen, or twenty-gauge shotgun, but it's not practical to hunt deer with those smaller gauge guns. While I appreciate that some hunters might be so skilled as to use those, I'm going to concentrate on twelve gauge guns here. The obvious issue is that a shotgun will never provide the range, or power to kill a deer at great distances that some rifles provide. How close a hunter is able to get to his prey is mostly a matter of knowledge and skill. I believe it's more sportsmanlike to hunt deer with shotguns rather than rifles. You Want A Rifled Barrel. What is a rifled barrel? 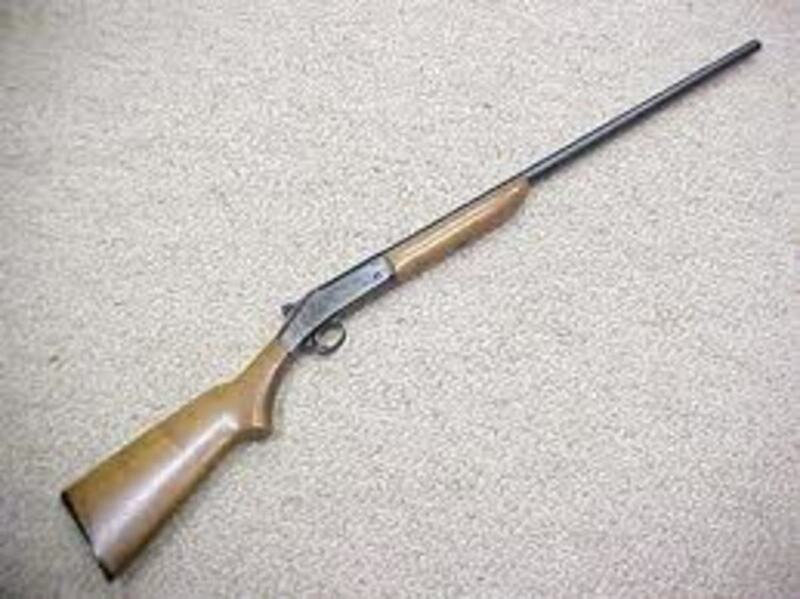 In this case, it's a barrel on a shotgun that has been machined or rifled like a rifle's barrel. 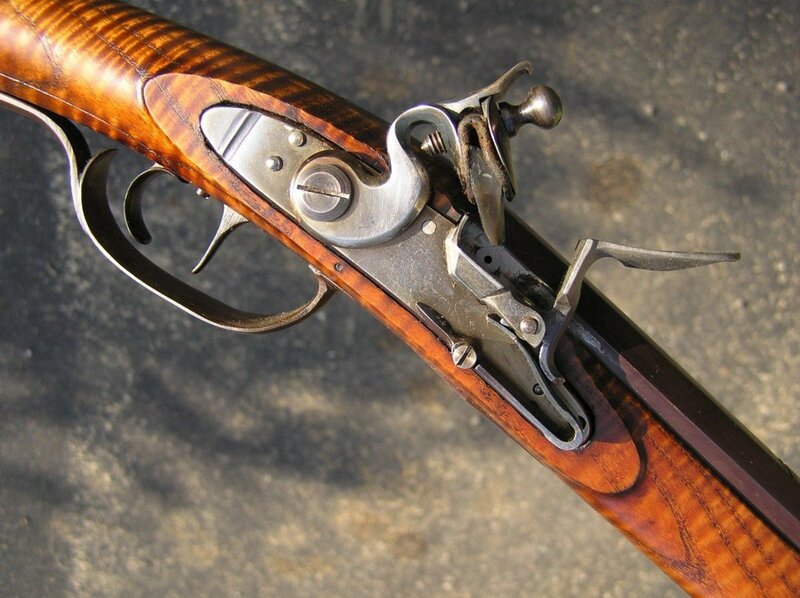 Most shotguns do not have rifled barrels. 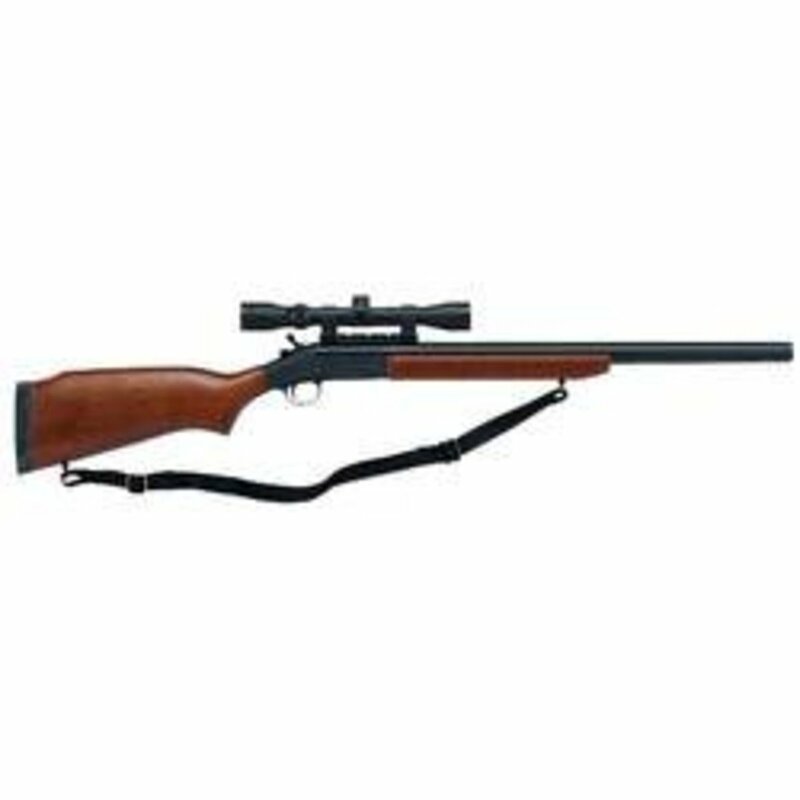 If you're looking to hunt something as large as a deer or hog, you don't have to have a rifled barrel shotgun - but if you intend to shoot your target from extended distances, then it certainly pays to have a shotgun with a rifled barrel. The rifling or machine work on the inside of the barrel doesn't just affect a load containing a slug, but also keeps buckshot or any other shot in a tighter pattern for longer distances. Yes, a rifled barrel shotgun will cost more than a shotgun without one. The H & R Pardner Pump twelve gauge would be the single most cost effective shotgun for someone looking to purchase their first rifled barrel shotgun at a low cost. The H & R Pardner Pump Twelve Gauge Shotgun - The Best Priced Rifled Barrel Shotgun On The Market! 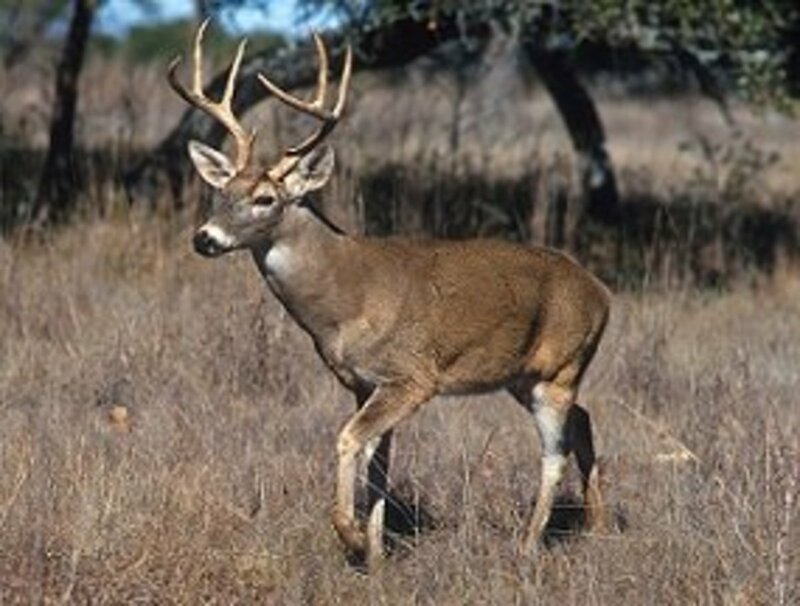 Deer Aren't The Only Lovers Of Deer Feeders, And Not All Deer Hunters Walk On Two Legs! Now, if you're less into giving a fleet footed herbivore like a deer a chance, and more inclined to want to kill a deer because you intend to feed your family with venison, then let me be sure that you well realize that for a bit more cash one can and should then purchase a semi automatic twelve gauge shotgun with a rifled barrel and the capacity to fire three inch slugs! Of course a semi automatic shotgun will allow for the more rapid firing of slugs or buckshot at your spotted and aimed at deer, and also, more soreness for your shoulder along with the increased likelihood for a kill! It really comes down to this, how good a deer hunter are you? Should you be intermediate level, use a pump twelve gauge shotgun with a rifled barrel; if you're not so good, use a semi automatic twelve gauge with a rifled barrel. If your better than most - by all means, use a bolt action twelve gauge - they are out there on the market, but rare, or even use a double rifled barrel twelve gauge shotgun. Hey, if you're just really a damned great shot, by all means - take a single shot twelve gauge shotgun with you to the deer lease. Possibly, they are out there with a rifled barrel that will fire a three inch shotgun shell. Brothers and Sisters, if you're better than that, buy a bow and go bow hunting. The bolt action design has been around for a very long time; but bolt action shotguns are pretty rare. 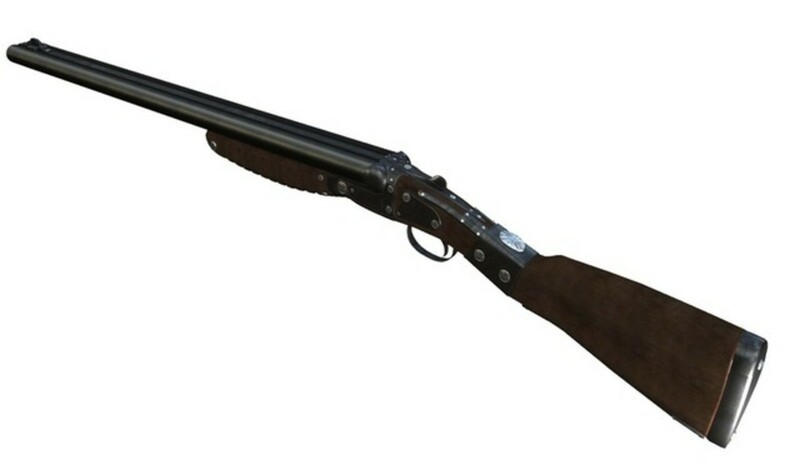 These Western Field bolt action shotguns are very collectible, and are all-around great shotguns. A Double Barrel Twelve Gauge Shotgun With Two Rifled Barrels. I've never fired a ten-gauge shotgun, but I actually did make some sort of tentative arrangement, or in other words....I asked the one person that I know who owns one if I could fire his...just once. Well, we'll see, but the facts of the matter are that ten-gauge shotguns are out there, available for hunters—and that not a whole lot of looking around can also turn up places to purchase ten gauge ammunition. I've no idea if firing a ten gauge is as brutal on someone as it might be - but I'd certainly imagine that the larger a person is, the better able they would be to fire something that large. In the past North America had a naturally balanced ecosystem because all the species required for a balanced ecosystem were present throughout North America in the precise levels required for such balance. When the European Savages conquered North America they brought with them their ranching practices from Europe, and from all other places from which North Americans came. Large herbivorous cattle, horses, and such were not present here prior to colonization, and the buffalo herds were eradicated in genocide that coincided with the same sort of aggression towards the large bison. It should be beyond the obvious to any and to all that there are not so many jaguars and cougars about in North America as to handle the huge population of various species of deer. Once, there were a carnivorous animal that kept the deer numbers healthy, and in check - and perfectly in count for optimum evolutionary function whilst the flora that the deer consumed was in turn kept in check. Yes friends, wolves still exists, but not in the numbers needed to keep deer at ecosystem optimum population levels. The European savages that came here to North America brought their fear and bias of European wolves, and their same ignorant behaviour. 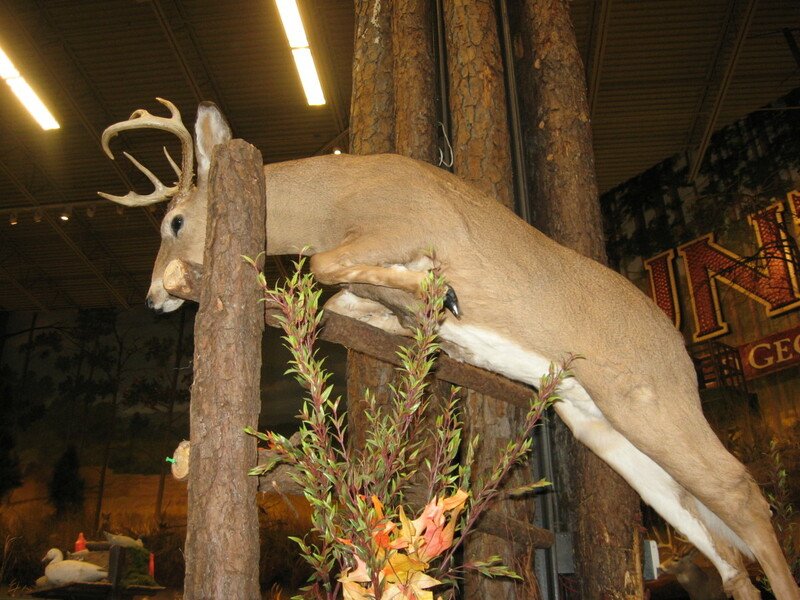 So as it is now, hunting of deer is an absolute necessity to the landscape of wherever deer are hunted - without deer hunters, the numbers of deer would grow so much as to damage the flora of that ecosystem irreparably. 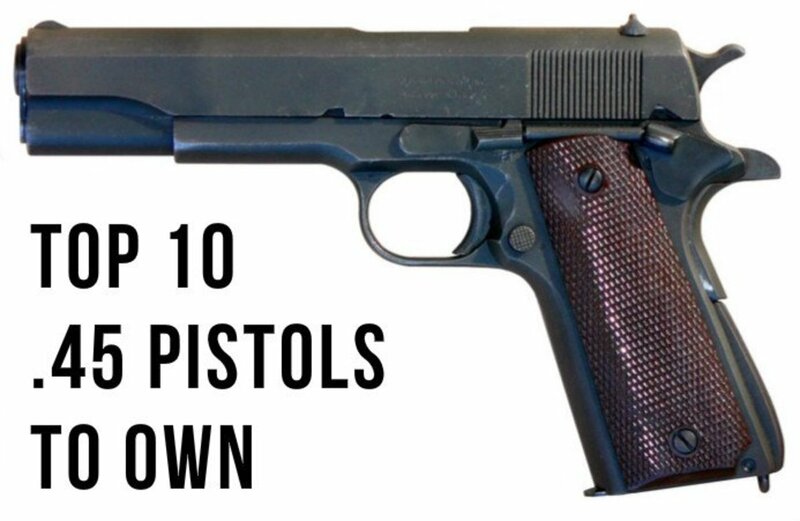 Finally, the right to own firearms shall not be disputed, you have the right to own firearms, and no one can either give that right to you, nor take it away from you - but rights do not protect themselves. Get involved with your local National Rifle Association, Oath Keepers, and other Constitution based groups. You have the right to provide both food and protection not just for yourself, but for others. Fight for your rights. 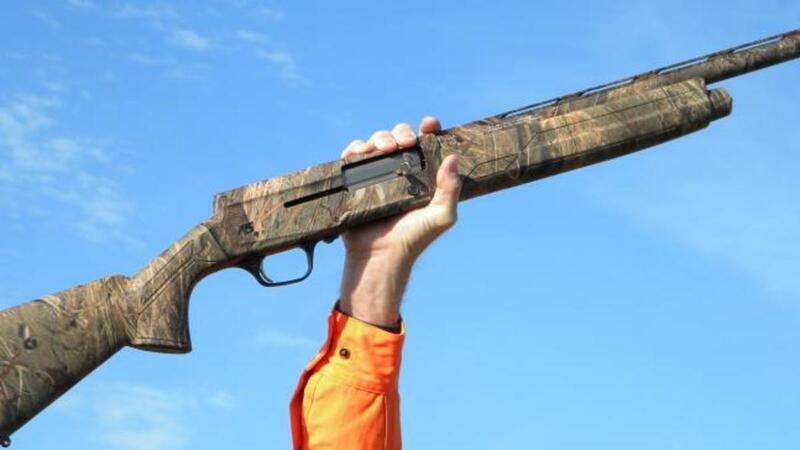 A Savage 220 will perform better than any of these guns. Hell yeah, Kevin. I've recently acquired a sixteen gauge nearly just like the twelve. 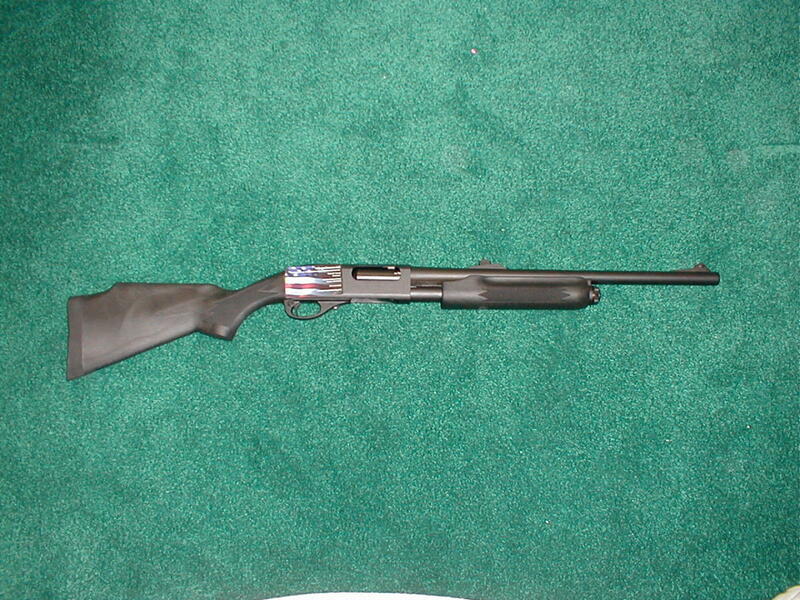 I'm a hunter and my choice of a rifle so happens to be a western field 12 gauge pump action. I inquired it through a friend and let's just say that I paid for the rifled canalever barrel that's on it w/ the original smooth bore barrel. I've always liked shotguns over rifles, I can appreciate a hunter w/a shotgun ( old school) for hunting and home protection. Great hub. Thanks for the share, I love hunting whitetail with a shotgun. docdave3d Cool deal, and thanks for that load information! Great Hub! 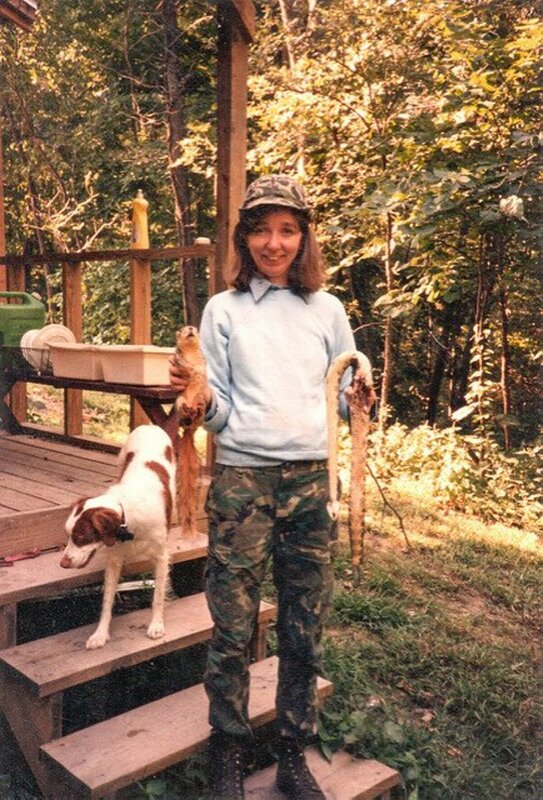 I've been deer hunting in Ohio most of my life. 3 years ago I purchased a rifled barrell for my Remington 870 and found the Hornady Sabot Slugs to be extremely accurate. I will never go back to a smoothbore! rumintasari - No more deer? Where is "here" for you? I'm in Texas....and maybe it is just that I'm out and about before dawn more often now....but I've seen more deer on the farm to market roads this year than in probably any year previous. ...and there are rifle scopes on THIS HUB...which is the kicker! I think the hub was about a very inexpensive (plastic stock, etc) thirty ought six ...I forget the make and model. These hubs on guns do so well....I'm going to have to do more. The crazies in the office in liberal la la land....surely realize how well gun articles do...its not like mine are the only ones. Jimmar - what you are seeing with the silly profiles and all the followers....are persons that simply live in the forums. There are people who get pay for posting political crap in forums all over the web....and these forums here are pretty active! Such BS. Rifle scopes? I know some people are sensitive to the topic of firearms and it ignites an irrational fear within them. Honestly the there are some people that shouldn't have them and they scare me too. I try to temper my enthusiasm for the topic just to play nice...it's not my sandbox. What irritates me are the people with zero or a few poorly written hubs, who follow me and 1500 others...and THEY have followers! THAT is what spoils this community, not well written hubs such as yours on topics that editors dishonestly judge substandard. Jack Burton - I'm not sure, but probably every gun hub I have here has been unpublished at least once. Literally, the staff seems to want to harass the authors who choose to discuss....one of the material standards the nation was built upon. Jimmar - I'm sure the same thing happened to you. I'd like to publish more hubs about firearms myself...but I become so very very angry when some PETA tard sitting in an office chooses to ...imagine their ill thought through perfect world being jeopardized by the subject...OH MY! I did a quick re read of this one....and...I see I've referred to a link that is no longer there...it was a terrific link that displayed the outcome of shooting targets at set distances with set loads with near identical shotguns...one with a rifled barrel, one without. Guess I need to edit this thing. I don't recall ...what hub it was, or if it is still here...but I recall a hub that was unpublished...and the moderator (who never bothers to provide a name...go figure) told me I'd have to take my ads for rifle scopes off for the hub to be published again. Yeah... I had to fight some battles with some fairly ignorant editors who couldn't tell the difference between hubs about guns and hub they thought were selling guns. I did just now ask a question in the forums here about that. I've personally had...LOTS of issues with staff here about articles concerning either guns or knives...it's ridiculous to me. Google is an American corporation....I think they ought to act like it. No problem. Very helpful article. Sir recgamer45, Thanks for your comment. I'm leaving this comment here so you'll see it. I do not wish to be rude at all...I just need to find out whether or not the big Google will penalize me for links in comments going to weapons dealers. Personally, I have no issues at all with links to weapons dealers...but I know your link would be against Google terms of service were it in the body of my webpage...but as to whether or not such links are "illegal" or penalize a page..I'm not sure. Ah!!!!! Well I'm glad to know there are good reasons for the law, of course I've been there, but I was driving a truck, and most focused on the getting to home!!! I've known of some strange laws in Indiana, but I guess most states have some. Can you use slugs, or just buckshot? christopheranton... if YOU were a deer would you rather have it end with a quick, clean shot that you probably never feel, or would you rather be chased for mile after mile by a wolf pack, ever gaining on you, ripping at your flanks with their sharp teeth, finally hamstringing you so that you can't run anymore, and then feeling them tear the flesh from your still living body as they stuff themselves. Nature ain't near as kind as humans are to what we both hunt for food. Here in Indiana a shotgun is the only legal way to hunt deer. To use a rifle you must get a special dispensation from the DNR, with special circumstances that you can prove. I worked at an arboretum and gardens where the executive director's wife was a real bambi lover. She couldn't stand the thought of hunting the deer on the arboretum grounds... until one night the deer ate $50,000 of plants that had been planted the previous day. That money came directly out of her budget. After that it was "shoot them all and God will replenish as He sees fit." I wish that I could SLEEP ON a meal Effer!!!!! I'm so skinny that if I turn sideways you can't see me unless I'm just really excited bout somepin'!!! Wes....I know I would appreciate it if you could write a Hub on "How to SLEEP OFF a meal!!!" There's no getting a Big meal OFF me, no matter what I do! Most women will tell you it just STAYS forever, on the hips and anywhere else we don't want it!! lmao! Happy New Year! Thank you very much, Cousin Fudd - I'm right there with you....I'd rather be out there and just see some wildlife than have to bother with shooting it, rounding it up, carrying it off, cleaning it, and then whatever else towards processing the deer into food. 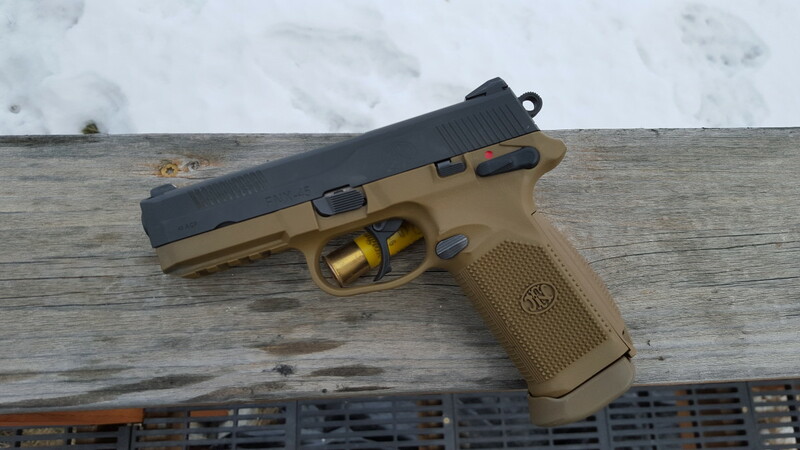 I would like to do me some target shooting with ...virtually any gun. I can shoot fairly well, despite my less than standard eyesight. Thank you very much, Effer, I had a good enough time visiting today. I feel like I didn't hold up my end of the bargain very well, as I did just what I did on Thanksgiving - eat a big ol plate of food, and then go out to my trailer from the folk's house...and sleep off the meal. Thank You, Christopher, I don't much ever shoot at deer myself...but I'd enjoy some target shooting, and some deer steak. I just don't tend to sit out there in the cold shooting at them....but situations could always arise to motivate such behaviour, I suspect. Nice write Wes, Deer hunting is a big deal here and I know it is in Texas. While stationed at Laredo AFB, I went down to one of the meat coolers where area hunters had their venison processed. I saw some really big deer in that locker. I never caught the bug for deer hunting and think maybe a 33mm camera is my choice weapon. Merry Christmas!! Awesome hub. It is just a pity that the killing of the deer can't be left to the wolves and the cougars.